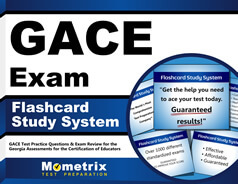 Welcome to the Mometrix Academy’s GACE test review page. We have created this resource to provide you with all the information you need to know about the exam in one place, without having to skip from one website to another. 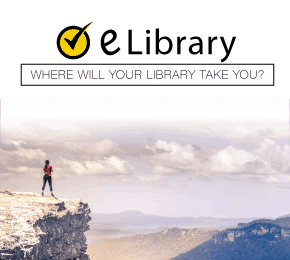 We have also provided links to our extensive library of free GACE practice tests to help you prepare for this vital test. We think you will find that using these practice tests as a part of your WEST test prep process will enable you to get the very best result that you are capable of. 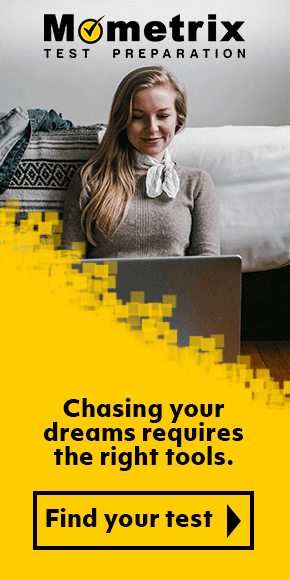 If you already have most of the information you need about the GACE, you can find the links to start taking the GACE practice test right away. The GACE exam is also called the Georgia Assessments for the Certification of Educators. The GACE is used to measure the candidates knowledge and skills that are required in the state of Georgia to become an educator in the state’s public schools. How much does it cost to take the GACE exam? The cost ranges from $30 to $350 depending on which GACE exam you will be taking. The standard cost of an exam is $25 registration fee and $28 test site fee. How long does it take to get the GACE scores? You will receive your scores for the Reading and the Mathematics sections within 7 days after you take the exam. For the Writing section, you will receive your score within 28 days. What score do you need to pass the GACE test? The GACE exams are scored as “Pass/No Pass”. Every exam has a different passing score. Some of the GACE exams scores on a scale of 1 to 5; other exams use a scaled system that scores more than 250. How long do you have to wait before you can retake a GACE exam? If you need to retake a GACE exam, you will be required to wait 30 days before registering to retake the exam. What is the GACE test for? 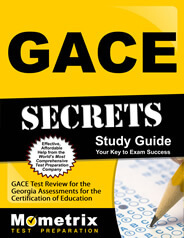 The GACE exam is also called the Georgia Assessments for the Certification of Educators. It is the state of Georgia’s certification program for educators. The GACE is used to measure the candidate’s knowledge and skills that are required in the state of Georgia to become an educator in the state’s public schools. What is the GACE test? The Georgia Assessments for the Certification of Educators®, or GACE® as it is often referred to, is a series of tests required for educator certification in the state of Georgia. The focus of the GACE assessments is to aid the Georgia Professional Standards Commission (GaPSC) in ensuring candidates have the sufficient skills to perform the duties expected of an educator in Georgia. Each GACE test was created by a diverse group of Georgia educators, including committees of educators, preparation faculty, and other content specialists. The GACE exam series covers numerous subjects that span the entire academic spectrum. Each test format may differ slightly, but most GACE tests only use computer-delivered test questions. In general, this is the format that most tests contain and focus on. Some WEST-B and WEST-E tests contain constructed-response questions, while others may contain selected-response questions. Some tests use a combination of the two types of questions. Each individual GACE test has a different time period in which to take the exam. To find out the exact time limit for your exam, check here. At the end of your test, you will be able to view your unofficial scores if your test consisted of only selected-response questions. You will need to wait for your official score report as the unofficial is not an acceptable substitute. Mometrix Academy is a completely free GACE study material resource provided by Mometrix Test Preparation. If you find benefit from our efforts here, check out our premium quality GACE study guides and flashcards to take your studying to the next level. Just click the GACE study guide or flashcard link below. Your purchase also helps us make even more great, free content for test-takers.